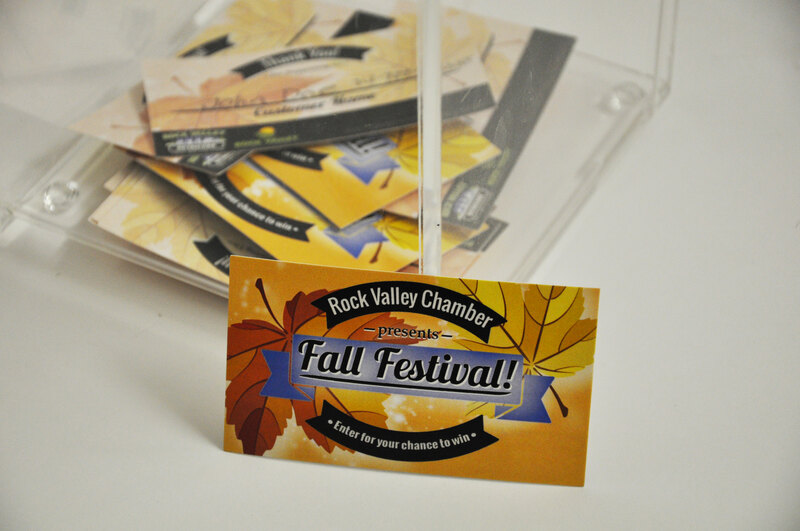 These cards were created to be a part of a Rock Valley Chamber event called Fall Festival. Participants were able to write their names on the back of the cards to enter to win a prize. The cards were printed at regular business card size with a gloss front and a non-coated back for easy writing. We really enjoyed making this project and were excited to see them around town. 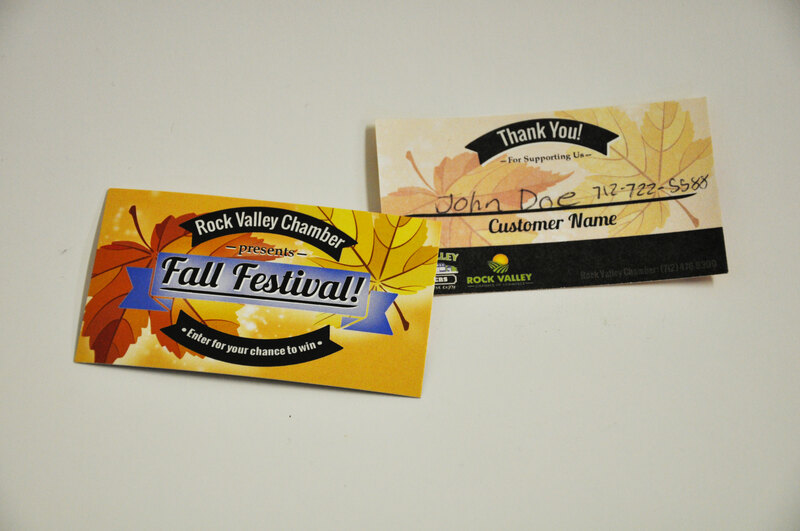 These cards were created to be a part of a Rock Valley Chamber event called Fall Festival. Participants were able to write their names on the back of the cards to enter to win a prize. The cards were printed at regular business card size with a gloss front and a non-coated back for easy writing. We really enjoyed making this project and were excited to see them around town.These cards were created to be a part of a Rock Valley Chamber event called Fall Festival. Participants were able to write their names on the back of the cards to enter to win a prize. The cards were printed at regular business card size with a gloss front and a non-coated back for easy writing. We really enjoyed making this project and were excited to see them around town.